I recently participated in a national call for Tory Johnson’s 30-Day Get Hired Virtual Job Club program. I presented on Are you Relevant? You can hear the 20-minute call here. This career advice article explains some of the ideas I shared about relevance as a Career Branding Essential in job/career search and change. Getting and staying relevant has played into my own career change but even more importantly relevance is an essential key to navigate the very different career and job world today. Without being relevant to this current landscape and process you will not progress or succeed. Relevance is about being applicable, ready, prepared. I ask you: Are you applicable, ready and prepared for the job and career world you want or are going after? Career Branding: A clear statement about who you are and what specific job skill or quality you bring to the table. On day one of the program Tory scrapped her plan and started over. That’s a mindset that can really help you today. Whatever she had planned didn’t feel right, so she scrapped it and started fresh. I had to do that same thing in October 2007, when a job I voluntarily left a 23-year career for unexpectedly didn’t work out. The theme for my career change since August 2006 has been about Radical Change-Radical Action-Radical Results. I see this as the "storyline of our moment." Since 2006, I have moved five times, launched a business in one of the worst business cycles and have had to tweak that business model every year! I’ve also written and published a book, and shifted my business from a local to a regional and national model, writing regularly for several nations blogs and websites and am building my national footprint speaking and presenting at key conferences and participating in national webinars and calls like this. This didn’t and doesn’t happen overnight. Why is relevance in career branding so important? This is 2011, not 1985, 1995, or 2005! The radical reality is the pace of our lives continues to increase, the amount of horsepower we need to ride in the 21st century has increased. Your relevance is tied into that horsepower. Do you have enough horsepower to ride the 21st century career and job highway? Two statistics and a huge trend should make you feel NOT so alone if you are currently in career change. 23-year low in job satisfaction according to Harvard Business School. 2 million people voluntarily left their jobs this past May according to the Corporate Executive Board Research Form. From being a generalist, looking for anything to thinking more like a specialist targeting a very clear niche and focus. 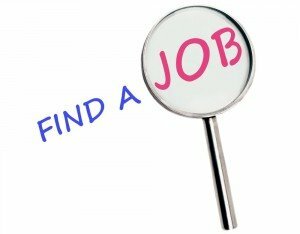 From finding a job to creating jobs for yourself and reasons people should interview you and want to hire you with the special skills and qualities you have. From getting hired to becoming highly employable. Again your relevance plays into this big time. Being applicable, ready, prepared. From being just qualified to having a high level of career value and magnetism. Develop more charisma that highlights your X, It, Wow? From focusing more what you can do and doing it, not what you can’t. This is a energy shift that will make you more positive and optimistic enhance your career value and magnetism. How much value do I bring to the table as a potential hire? Am I average, just qualified or do I bring unique and significant dimension and intangibles to the table? Are my skill sets holistic (well-rounded, applicable) with regard to the industry I am in or career I am looking to transition into? Where am I obsolete or behind the times? Commit to an in-depth inventory and evaluation of your current value as an employee or new hire. If you can’t accomplish this yourself get some professional help from a career company or consultant. Don’t delay or procrastinate. Decide on exactly what you need to improve, add or enhance to get the job opportunity you are seeking and do it. Take the classes, hire a coach, trainer or teacher. Stop thinking as a generalist and start thinking like a specialist and laser focus in on your niche. What part of HR, Marketing, Sales, or business is a specialty you do really well? Organization, Time Management, Data Management, Social Media, Prospecting, Blogging, Team building? Networking? List three of your key work accomplishments you can use to highlight the skills and qualifications that brand you to what you want to do? List three other industries you could apply or adapt your current work skills and experiences to, that you have a passion or interest in. List three other job capacities in the field you are in you could shift into. Staying in your field but doing something different can work. Everything you need is already inside of you. Look within. Believe in the value of who you are and what you have done. Why do we devalue ourselves? Don’t be afraid of change, embrace it as an adventure. Your career change can actually be fun. Set yourself up to succeed by doing whatever it takes. Relevance and initiative. Radical Change-Radical Action-Radical Results. You can do it..so do it..start something today!